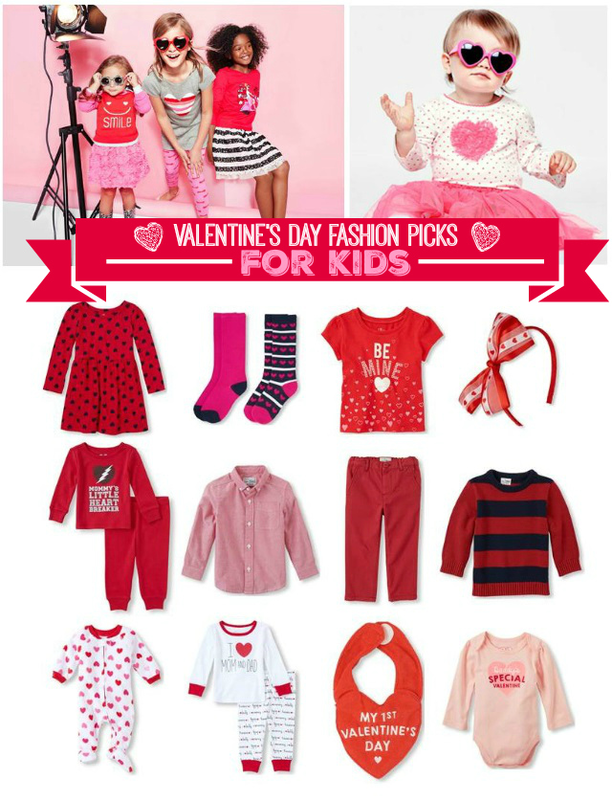 Valentine's Day is drawing near, so naturally, we're on the hunt for adorable children's fashions for the big day! If you're looking to pull together an adorable outfit for your little cutie this Valentine's Day, you'll find everything you need at The Children's Place. Our daughter has her eye on more than one of the adorable graphic tees, the great headbands and coordinating socks. As a mom, I love that I can find everything I need for my kids, from toddler to tween, in one convenient place. 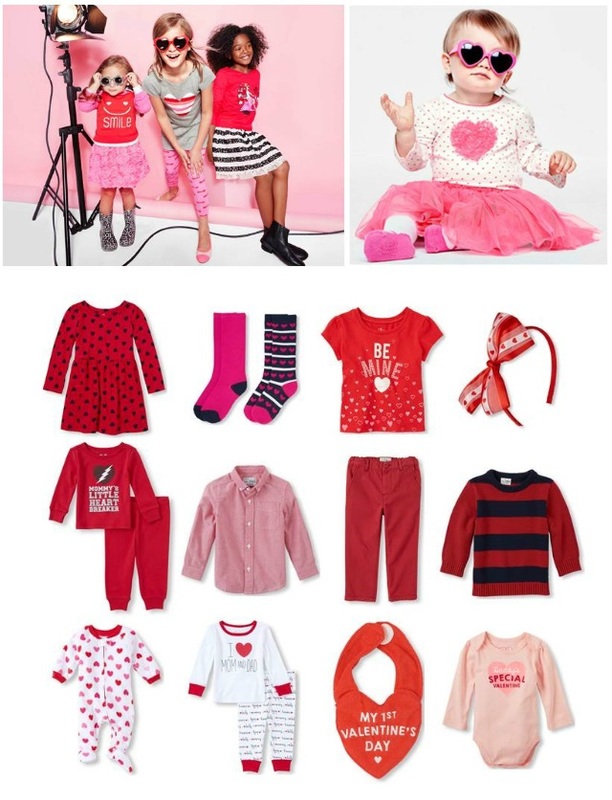 Check out some of the fun looks and outfit ideas for Valentine's Day below, that are available at The Children's Place. You'll also have a chance to enter to win a $50 The Children's Place Gift Card, so that you can grab up some of these adorable fashions for your kiddo's. Adorable, right? You can find all of the pictured/featured fashions at The Children's Place retail locations nationwide, and online at www.childrensplace.com . I'm so excited to celebrate heart day with my family, it's one of my absolute favorite holidays. Next up; Spring! And you know what that means; Spring shopping! After taking a sneak peek at The Children's Place Spring 2016 look-book, I'm dreaming of beautiful floral prints and sunshine. Can't wait! WIN IT! The Children's Place is very generously offering (1) One Savvy Mom reader a $50 Gift Card to The Children's Place! Entry is simple. You can enter through the Rafflecopter form below - good luck! Our thanks to The Children's Place for providing a gift card for giveaway purposes. All thoughts and opinions expressed are our own. I love the Toddler Boys Long Sleeve 'I Dig You' Truck Graphic Tee for my grandson! I'd love to get my daughter the Girls Long Sleeve Faux Fur Heart Pullover! I love the Long Sleeve Heart Print Knit Skater Dress. I would love to get the Toddler Girls Sleeveless Flocked Floral Flare Dress With Bow. I would love Girls Elbow Sleeve Stripe And Print Top. I'd love to get the boys skinny chino pants. I like the Baby Girls Short Sleeve Flocked Floral Flare Dress, Diaper And Headwrap Set. I love the Toddler Girls Short Sleeve Printed 'Love' Glitter Heart Top And Flare Skirt Set! Oh my goodness! They have the cutest valentine outfits! I love the Toddler Girls Long Sleeve Heart Top & Heart Print Skirt Set! I like the striped organza flare dress. I'd love to get my toddler the Baby Girls Long Sleeve 'I Love My Family' Top And Heart Print Pants PJ Set! Super cute <3 Happy Valentine's Day! I love the mommys little heartbreaker outfit.. adorable! I like the Girls Long Sleeve Faux Fur Heart Pullover for my daughter. I would love to get the Toddler Girls Long Sleeve Heart Top & Heart Print Skirt Set for my daughter. I would pick out the Boys Short Sleeve 'Ladies Man' Skull Graphic Tee! Oh I really love the Mommy's Little Heart Breaker' Top & Pants PJ Set!!! My kids need new pajamas, and Kids' Pkace have a great selection! I like the heart print knit skater dress! My daughter would love the "love" glitter heart top! I would get the Full Time Hunk tee! he long sleeve heart dress my daughter would love it. The denim boys jacket is cute. I think the full time hunk tee is cute.